The dress looks lovely and your fabric choice is beautiful. I have been hankering after making this pattern. Now I might just have to put it a bit higher on the list. Thanks for the info. Oh Marie it's gorgeous! It looks beautifully made, totally great on you and I adore this print. 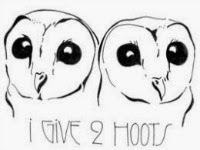 Unfortunately I just sent off my next 3 Minerva kits or I'd totally copy you. It even matches your wall! Yes, I have totally the same problem with muslins. It feels like you need to make the whole darn dress in a similar weight fabric and with all fastenings etc or it just isn't accurate. Ain't nobody got time for that! Oooh good luck, I'm sure you'll be delighted with your version once you figure out the fit! This is adorable! Every Cambie I see makes me want to sew one myself. So sweet! one of my favourite dresses t=you made, the combination of fabric and pattern match is spring perfection. I looove the chicken feeding picture.. very 50's housewife! Thank you Rachel, I think it's one my favourites too! Gorgeous! Welcome to the Cambie club - man I love that pattern! Love the fabric too. Thanks so much Helen, your versions are lush! Lovely! I just started on my first Cambie, also floral cotton. After my first fitting I'm planning on taking it up at the shoulder seam (I'm quite short with a high bust), then I'll take a little off where the waistband meets the bodice if needed. We'll see how it goes! Otherwise it seems to fit well, so I'm hoping to have a new go-to pattern! It looks great! 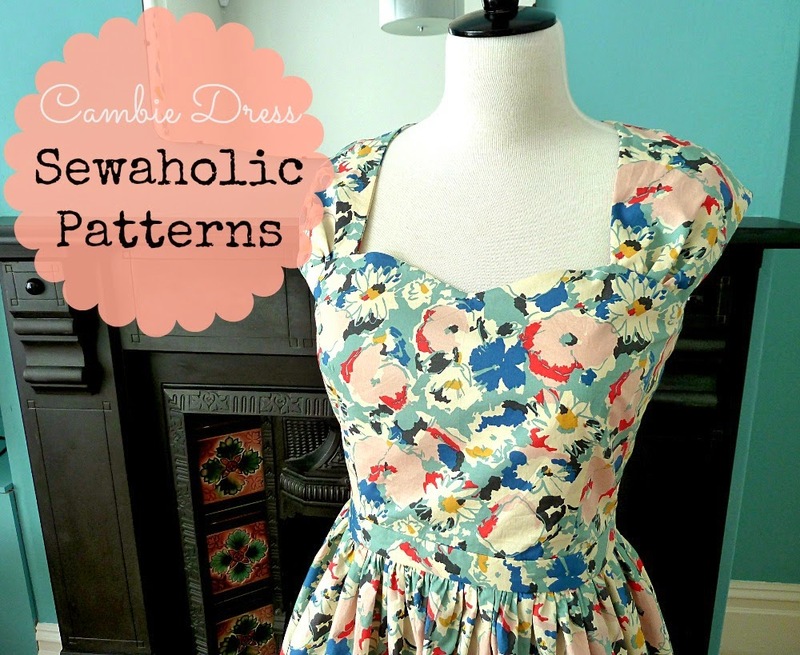 I'll add the Cambie dress to my ever-growing 'patterns to make' list. And I agree with your boyfriend that it looks like you are feeding chickens! Thanks Katy...might you become a Cambie convert now?! Beautiful as always! The pattern is a beaut isn't it! And on a side note your necklace goes so,well with the dress! Thanks so much lady...the necklace was £1.50 from Primark! Thanks Naomi - I say, go for it! Love it Marie! It is a true classic and I love the fabric you've chosen. 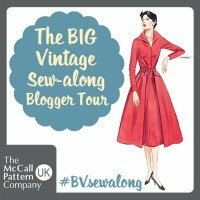 Interestingly I've also considered Cambie as a sew dolly clackett contender! But haven't got close to even deciding yet. I suspect it'll be a last minute rush!! Anyway, looking forward to seeing your next entry(s)!! Winnie! Thanks! 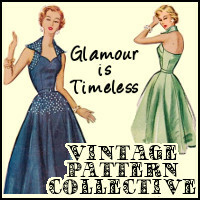 It's your very two gorgeous versions that swayed me to buy the pattern in the first place! 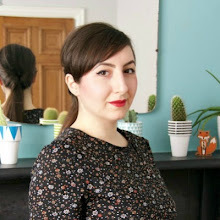 I want to make more of a Dolly Clackett dress for the challenge too, but like you, I haven't even started that! Yes, the bigger/longer thing happens to me, too!! I think it's also because you handle a finished garment so much more while sewing than you do the muslin. This make turned out lovely, though! Great colors on you. Hmmm, interesting theory...you could be onto something! Love, love, love this! The finish looks fantastic & the fabric is a perfect match for the Cambie. I love this dress! It looks fantastic on you! You and the dress look gorgeous! What a perfect fabric and pattern pairing. He's very cheeky but it is a good pic! I get caught out with bodice length or lack of it when my fabric types change. Well that's my excuse. Your Cambie is delightful! It is a breath of spring with the promise of summer. Thanks so much for the beautifully poetic comment! I'm pretty smitten with it too. The neckline isn't anything someone would call out, sewer or nonsewer. I've seen many version of Cambie, and this is one of my favorites! Thanks a million Madalynne, you're too kind! You look awesome in this dress! The shape is perfect on you and at print is gorgeous. I hate Muslims. I think it's because I only do the bodice that it always seems different in the final outfit. I think it's definitely got to do with the skirt dragging things down. Thanks so much Kat! Muslins are pretty tricky, but who's got time to make full ones?!? Beautiful and so flattering too. How do you find the sleeves? I find them a little restricting and difficult to lift my arms without pulling the dress. Thank you! The sleeves are totally fine and comfortable on my version. Do you think you maybe made the straps too tight during construction? Maybe you could lengthen the sleeves a little next time? This is STUNNING! I've just bought the Cambie and now I need to make it. Feel inspired after your beautiful version. Oh yes, FAB fabric, Fab dress, Fab pattern & Oh boy muslins -I'm getting to the point of why the heck bother ! I love it! I have a cambie in my future too! Lovely fabric! I think muslins always seem too short. Partly as the weight of the skirt pulls them down and partly as the waist of a dress comes quite high so as a top it looks super short! You could baste side seams in final fabric? Or use the bodice lining as a muslin? Yeah, you're probably right actually! And thank you for the kind words! I love it! Such a pretty style on you. It's official - you cannot get any cuter (and can I steal those shoes?). I feel so bad but I've had my cambie pattern for close to three years now and still haven't made it! I will, I will! You're making me blush Jen, thank you!!! Don't worry, you'll get round to your Cambie and you'll love it! I think it is stunning! I love the fabric you chose! Beautiful! This dress is so gorgeous and you need to go and make a million more Cambies becuase this is super flattering on you! And I love the fabric you chose. And I love your necklace! How are you getting on with your house renovation/redecorating? Any more updates for us? Perhaps not appropriate on a 'sewing' blog, but I'm hoping to move house this year and I LOVED your posts about your new (beautiful) house! Thanks so much Su, you're very kind indeed! It's a gorgeous dress - the colours look perfect for spring. A Cambie is definitely high up on my list of things to sew this spring/summer. Great shape fabric and style a winner. Ooh, this is lovely Marie! Springtime perfection. That muslin thing TOTALLY happens to me, too - it's so frustrating! Thank you! Silly, silly muslins and their silly ways! I was going to say that the bodice was tighter than the muslin because you added the lining. This happened to me with my first Anna. For my second Anna I used a different fabric, without a lining, and it was HUGE! I think the skirt is affecting the fit of the bodice, cause my second dress had a heavier skirt than the first one. See, what you're saying makes perfect sense and I can understand why that would happen. But it was my muslin bodice that was tighter than my finished garment...which leaves me scratching my head to be honest! this dress is absolute perfection on you! the colors, the shape, just beautiful! and yes, the misleading muslin has happened to me as well. the weight of the skirt makes a huge difference! sometimes i'll pin my bodice muslin to a skirt to give me a better idea of the pull. at any rate, lovely work here! Thank you for the kind words and the great advice! I think this is my favourite make of yours, it's simply gorgeous and you look amazing in it. I might have buy that fabric too. What a good eye you've got, I hardly ever buy fabric on line as I have to see and touch it. Same thing with muslins. When I use cotton, I just fit as I go, basting the bodice seams before sewing and leaving nice big seam allowances, also basting on the skirt for a fitting before sewing. Cotton is easy to pick seams out of. You look fabulous and I want to make another Cambie now, too! Thanks for the inspiring pics! Remember the scene in Cinderella when she feeds the chickens? Thank you, you're very kind and excellent tips too! And yes, hehe, I do recall that Cinderella scene now! Thanks Amy! The mirror is my pride and joy (just £25 from a charity shop) and yes, I totally should have added a chicken or two...! Gosh, this is beautiful, Marie! Cambie is such a good choice and this really suits you. And damn, I love those shoes! Hehe, glad you approve Roisin!!! This is gorgeous! I love it on you, Marie! It's absolutely the perfect dress for you! 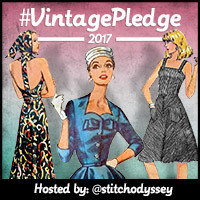 I can totally relate to the muslin issue- it seems like every time I lengthen the bodice, it's too long at the end of the day! Ugh! And, like my Flora dress, if I take in the side seams, it's too tight afterwards! Yuck! Thanks Sonja, you're too lovely! Muslins really are annoying aren't they?!? Ooo. That floral is really fantastic. And, your shoes are INCREDIBLE!!! I haven't made a Cambie yet, but I may take one on along with some friends early this summer. This isso beautiful and such a great make, how neat is the waistband! Love love love and a great SewDollyClacket interpretation. Inspired! Also - did the muslined bodice have the waistband attached? Because that will affect how long it feels and appears. Thank you SO much for all the brilliant advice! Will certainly take on board for next time/future makes. To answer your question though, yes, I did muslin the bodice with the waistband...and it still seemed a little short. Wish I'd have just gone with it though! This looks smashing, lady! You choice of fabric to pattern is always amazing! And when muslining I now ensure that I do the skirt as well because I've had too many occasions where it all goes pair shaped with the additional weight. Aaaw, thank you - you're too kind! I really hate that all evidence is pointing towards having to muslin the whole thing, but probably sensible! Love the shape! Looks really nice and the fabric is lovely! This is so cute! 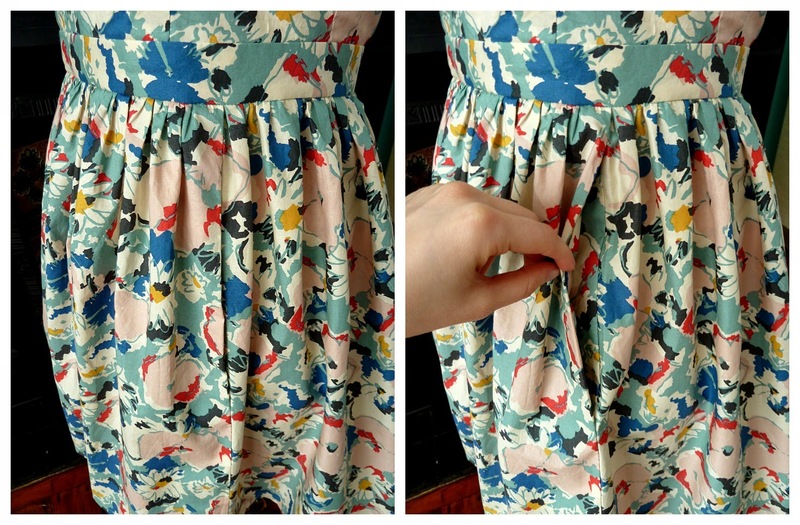 It's inspiring me to make lots of pretty Spring/ Summer dresses. And I want your shoes! I usually find that after I've muslined something, the finished thing doesn't come out quite the same but I assumed that was because I don't tend to muslin in the same weight of fabric as the finished garment (I know, bad!). I think this is just one of the prettiest dresses that you've shown us, it suits you down to a t, and you should most definitely be proud of that perfect zip insertion. I drafted something almost identical years ago using a pale pink very low sheen satin, I love the style but always feel like I should be in a bridal party. Just goes to show how fabric choice can dramatically change the outcome. I'm completely in love with your shoes too, can I ask where they came from ? It's gorgeous and so pretty! I love it all, the pattern, fabric and the shoes! Yep I have the same trouble with toiles/muslins too. I've taking to trying the garment on as I'm sewing it up, and try to deal with fitting issues before all the seams, lining etc, are finished. This is so pretty! I need to make another Cambie in a floral fabric. You do have the best fabric! I love all of your fabric and dresses you've made! Thanks very much Kathy, you're too kind! This dress really flatters your figure. The dress is very pretty and you look gorgeous. Congrats on a very successful make!